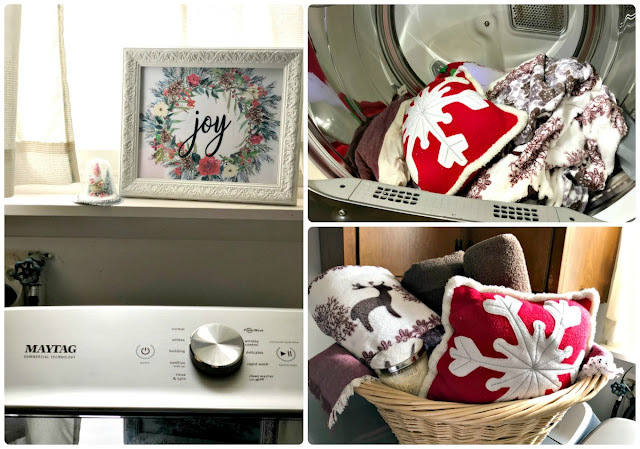 Holiday guest prep made quick & easy with my washer & dryer! This post is sponsored by Maytag. As always, all opinions & thoughts expressed below are 100% my own. Can you all believe that the holiday season is almost here? If you happen to be anything like me, that means that LOTS of holiday entertaining & house guests are in the very near future. 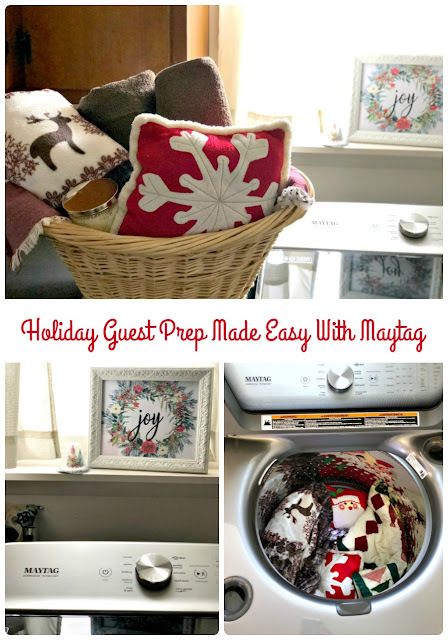 I am getting a jump on that holiday guest prep now before all the craziness of the season has settled in with a little help from my Maytag top load washer & dryer set. I gathered up all my cozy holiday throws & toss pillows, the tree skirt, & table runner from storage and tossed them all into my Extra Large Capacity washer. After spending almost a year packed away in totes in our storage unit, they were getting a bit musty. 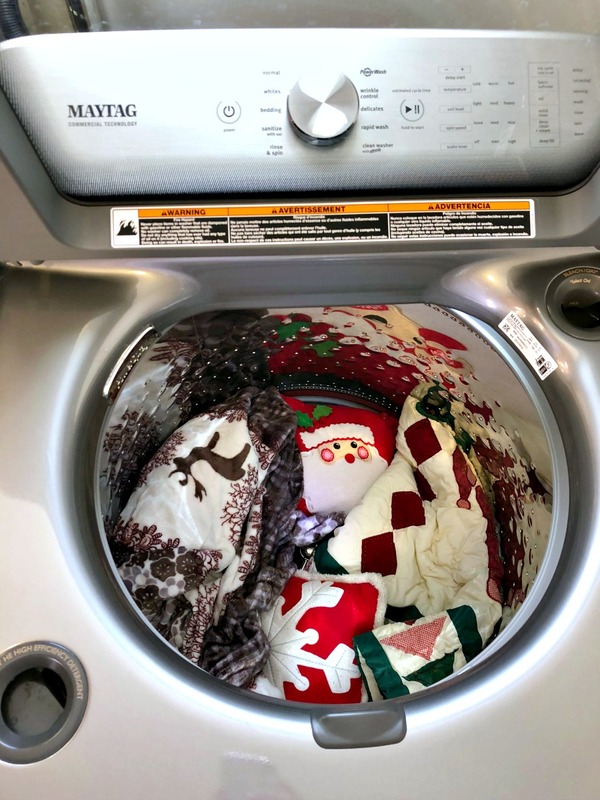 Both my washer & dryer have an extra-large capacity with cycles specifically for bedding that make washing all of my cozy holiday stuff easy peasy. I can toss it all in at once instead of doing multiple loads- what a time saver! Plus I feel confident knowing that everything will come out completely clean & fresh (bye bye, storage unit mustiness!) 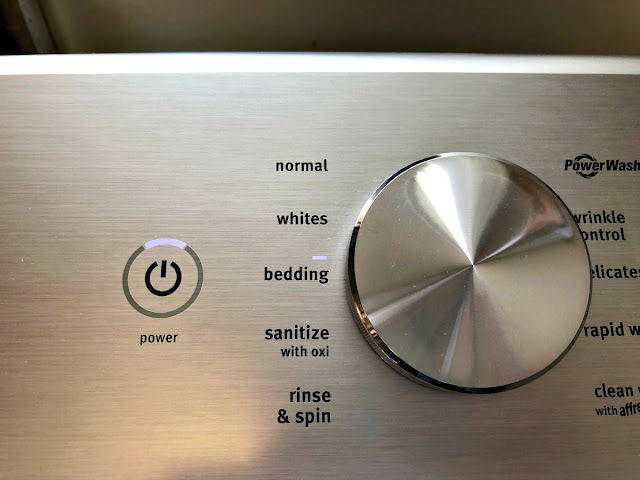 thanks to the extra cleaning action of the PowerWash cycle on my washer. 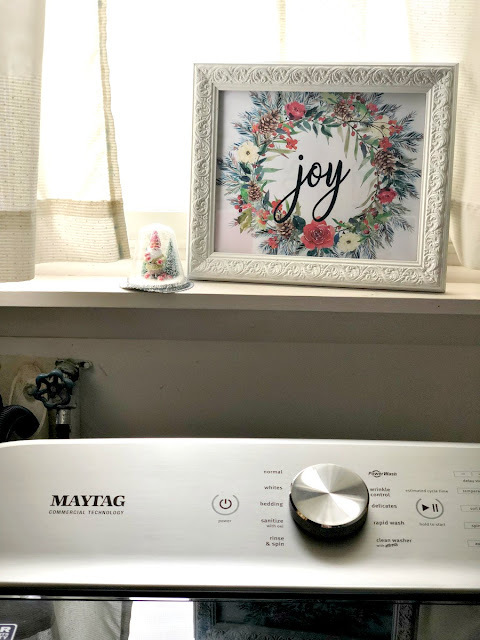 The PowerDry cycle with its Advanced Moisture Sensing system in my Maytag dryer helps get everything evenly dried without me having to check & restart the cycle over & over again. 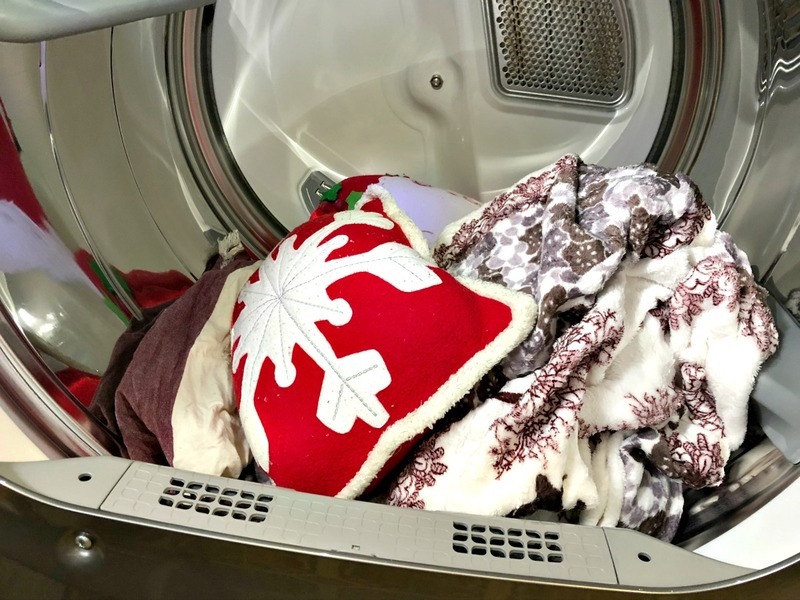 I am busy enough as it is getting ready for the holiday season without having to run to the dryer to check it multiple times. When I know I will be hosting guests for the holidays, I like to put together a little welcome basket before they arrive & leave it in the guest bedroom. Sometimes I even include a festive scented candle, a few magazines, & maybe a Christmas mug with a packet of hot cocoa mix. 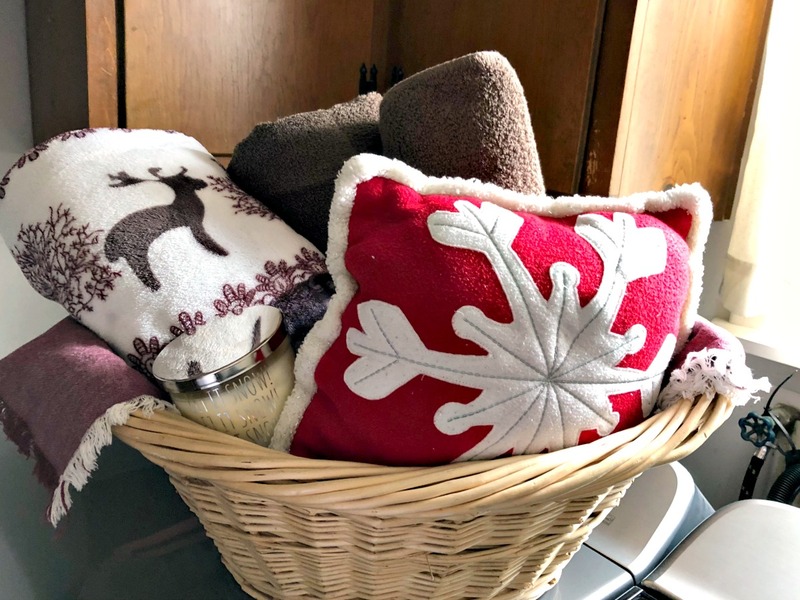 But I always include a cozy throw, a cute holiday pillow, and fluffy bath towels. This is a sponsored conversation written by me on behalf of Maytag. The opinions and text are all mine.